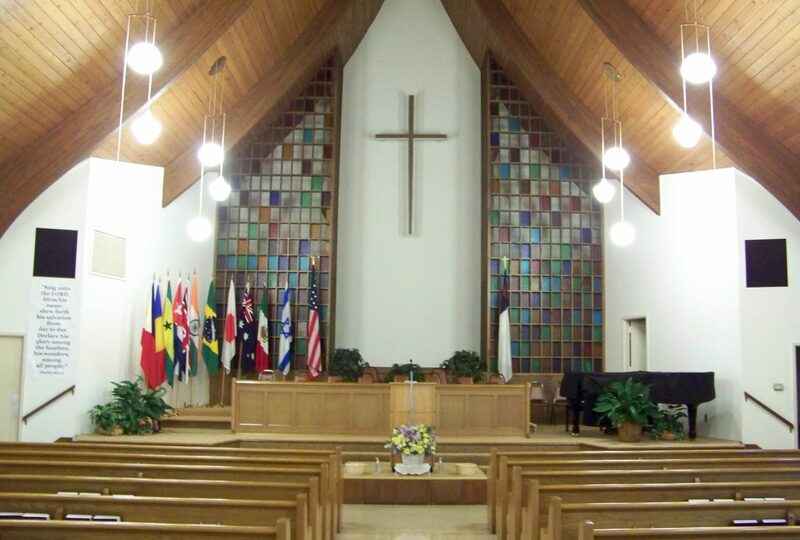 Bible Baptist Temple is an Independent Fundamental Baptist Church centrally located in Euclid, Ohio. We are a Bible teaching and preaching church. In this contemporary and stressful world, the ‘Word of God’ is where we can find direction for this life and most importantly the truth about life eternal. The door to our church is always open and a friendly welcome awaits! Euclid is an eastern suburb of Cleveland, Ohio. The church is on Chardon Road, just a half block (north), off Euclid Avenue, one street east of Central Middle School across from the new fire station. From Local Areas - Cleveland, So. Euclid, Lyndhurst, Richmond Hts., Mayfield, etc. - get to Euclid Ave. and go East. First street east after Central Middle School, and across from the park, at Chardon Rd., turn left. The church is on the right. From the East - (Lake County) - take Rt. 2 west, into Euclid where it joins Rt. 90, exit at E. 222 (exit #183) and take the middle lane to the light and turn left. Go one mile to Euclid Avenue and turn right. Go five short blocks to the first light and turn right onto Chardon Road. The church is on the right. From the West - coming from downtown Cleveland - take Rt. 90 east into Euclid, exit at E. 222 (exit #183) and go to the light and turn right. Go one mile to Euclid Avenue and turn right. Go five short blocks to the first light and turn right onto Chardon Road. The church is on the right. From the Southeast - Take Rt. 271 North, then follow Rt. 90 West, (Cleveland, West) (Note - do not take the Expressway) Continue to follow Rt. 90 West, (Cleveland, West) into Euclid, exit at E. 222 (Exit #183) and take the middle lane to the light and turn left. Go one mile to Euclid Avenue and turn right. Go five short blocks to the first light and turn right onto Chardon Road. The church is on the right.